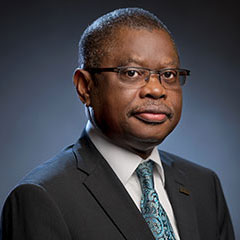 Mr. Olusegun Odubogun, a Fellow of the Institute of Chartered Accountants of Nigeria and Chartered Association of Certified Accountants UK, retired as the Chief Executive Officer of Deloitte West and Central Africa in 2008. Under his watch, he led the consolidation of Akintola Williams Deloitte in Nigeria with other Deloitte offices in West and Central Africa.Over the course of his career, he led the Consulting, Advisory, Audit and Tax divisions of the firm, serving clients and creating shareholder value in numerous sectors including companies in the public, financial, consumer and oil and gas space. He also served as a member of the African Regional board of Deloitte. He is currently on the Boards of Poly Products Nigeria Limited and Bemil Nigeria Limited.